In my booth you will find a wide selection of fibers and tools for all sorts of different applications. 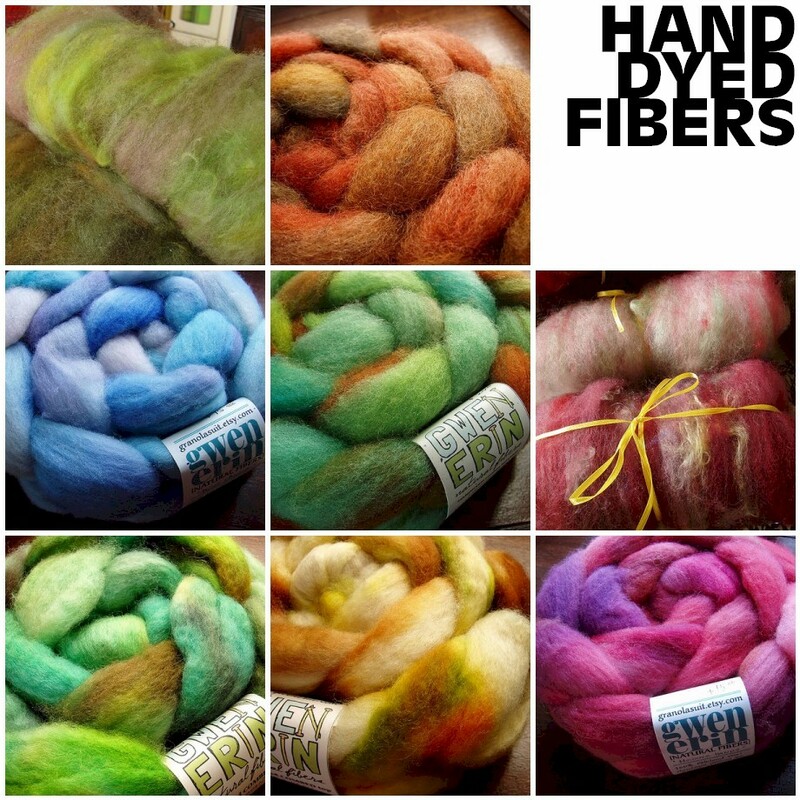 Spinners and felters will enjoy browsing my hand-dyed combed top, carded roving, wool locks, and carded batts. In combed top, I carry two breeds: Bluefaced Leicester and Falkland. Both are very soft fibers, great for beginners and veterans. If you are planning a small project, choose from the individual braids ranging in size from 3.5 ounces to 5 ounces. Each one is a little different. However, if you want a larger quantity, pick from the Companion Colors. These are 8 ounce bundles of two complimentary colors put together. You can spin two separate yarns, alternate back and forth, or spin a ply of each. The carded roving is made from individual fleeces rather than a flock, so each breed is unique and the selection is constantly changing. Perfect for anyone curious to try something new. The locks are also breed-specific. They come from fleeces that I hand selected, washed, and dyed. I look for lots of interesting texture and a long staple length. If you want something a little more funky, check out the Fantasy Batts. These contain a variety of dyed and natural-colored fibers (wool, silk, mohair, sparkle) carded together. 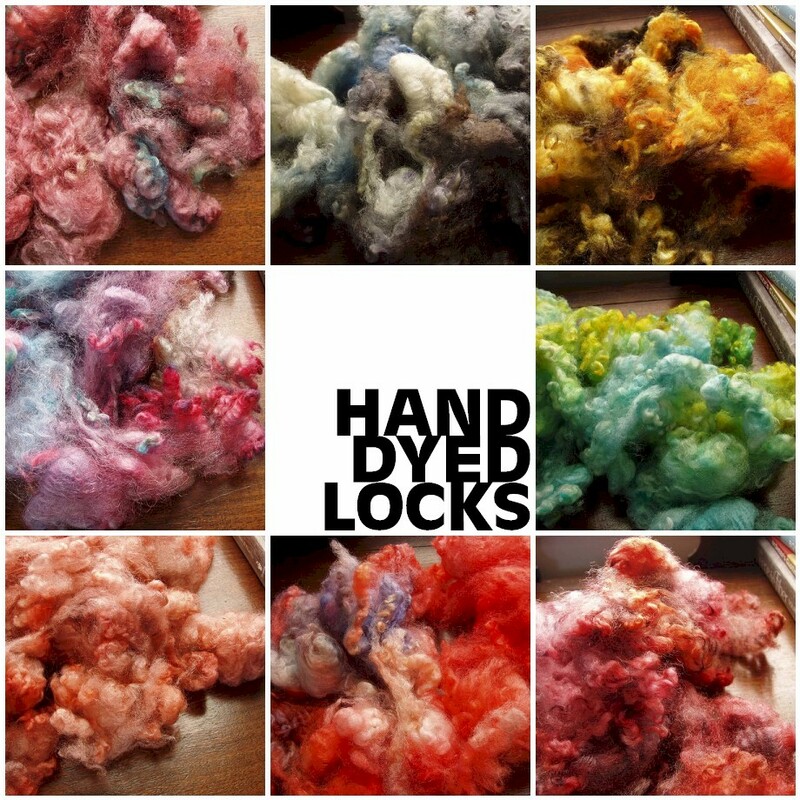 It will create a truly unique yarn or spice up your next felting project. 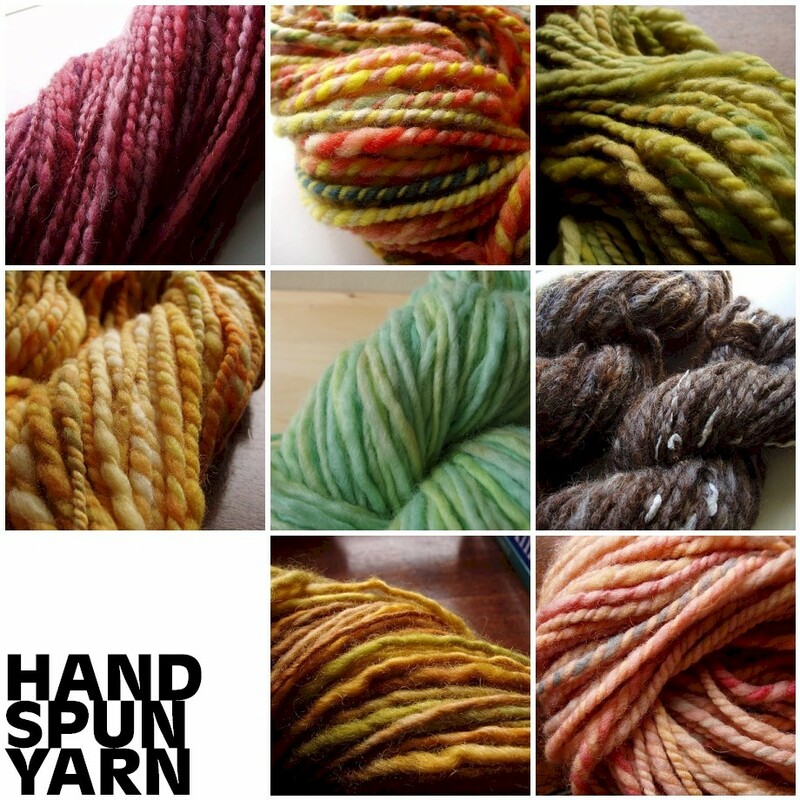 For those who do not spin, check out the handspun yarn. I offer a wide variety of breeds in natural and hand-dyed colors. Each skein is unique, so your finished project will be one of a kind. Choose from super bulky, heavy worsted, worsted, and DK weights in single, 2 and 3-ply. Most yarns are very practical, though there are a few for the more adventurous! Don’t forget the notions! For the knitters, I have double pointed needles, stitch markers, tapestry needles, and point protectors. Do you want to learn to spin? I carry hand-crafted Turkish spindles in three wood types: Cherry, Maple, and Black Walnut. These spindles are perfect for getting started, but will serve you for many years. And be sure to top it all off with a bottle of Eucalan to wash all those precious handmade goodies.